In efforts to cash in on a truly morbid bit of hip-hop history, the car in which rap hero Tupac Shakur was fatally shot in is now up for sale for $1.5 million USD. 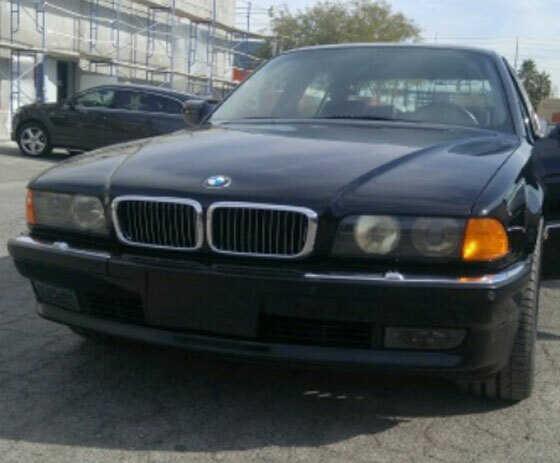 The 1996 BMW 750iL has been listed for sale by California memorabilia dealer Moments in Time, the Associated Press points out. The car was originally owned by Death Row Records co-founder Suge Knight, whom Shakur was riding with when the late star was shot during a drive-by shooting in Las Vegas on September 7, 1996. Shakur would later die six days later in hospital at the age of 25. The listings, which you can see here, doesn't offer much in the way of details, but you can see a few photos of the vehicle, including one that shows the car has more than 92,000 miles on it. The listing also comes with the blunt heading of "The Car in which Tupac Shakur was Killed." Of course, the sale comes just as the Tupac biopic All Eyez on Me edges closer to release on June 16 — something we doubt is a coincidence.